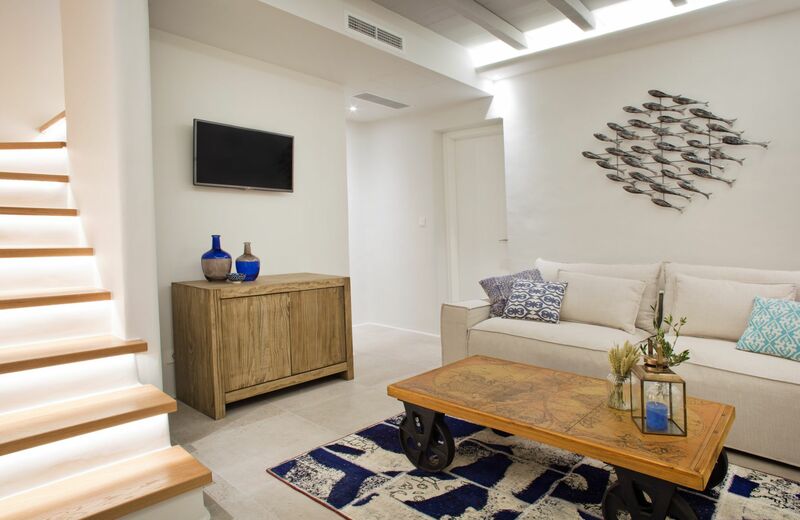 Ideally located in Agia Sofia, Mykonos, the M Mykonos Villas complex consists of 4 homes-away-from-home that combine state-of-the-art amenities and exclusive VIP services with the traditional Mykonian style. 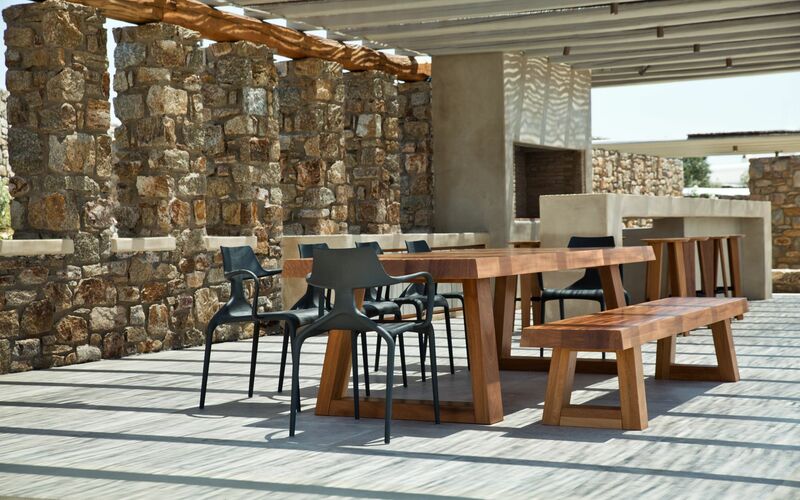 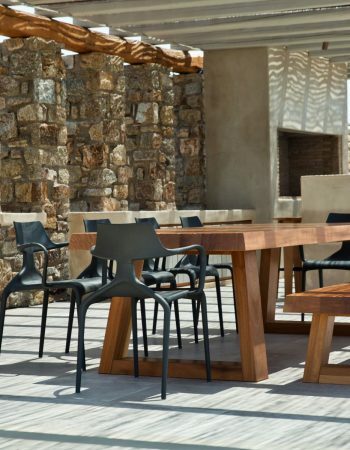 The architecture of M Mykonos Villas is based on natural materials such as stone and wood, to ensure light abundance and the open space experience. 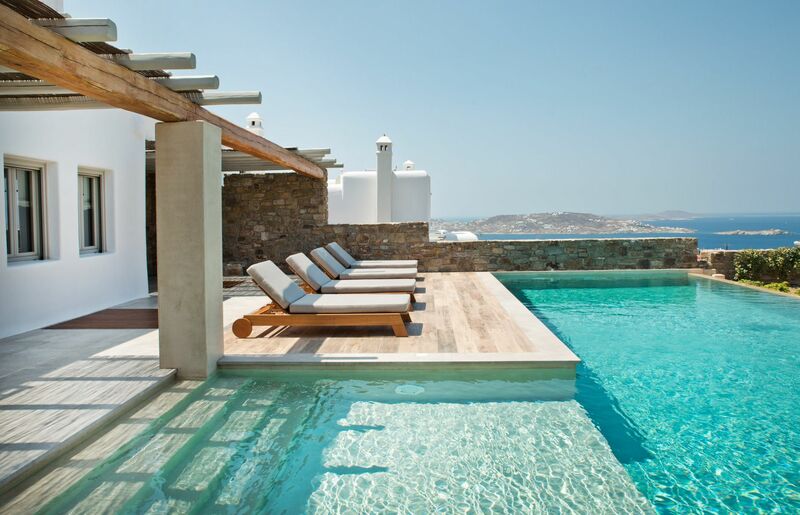 Each M Villa bears its own magic touch; yet all four share the same special qualities of coolness, calmness, and a breathtaking view of Mykonos and the Aegean Sea. 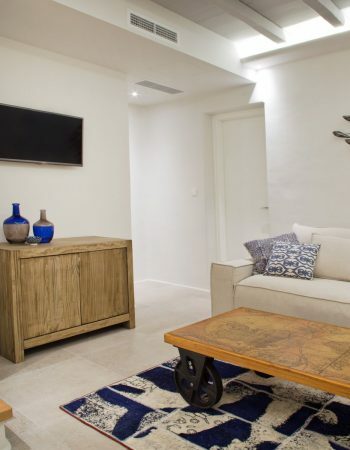 Only a few minutes away from Mykonos town, the small region that took its name from Agia (Saint) Sofia is the ideal location for those seeking a relaxing holiday in a most stylish setting, while being so conveniently near to some of the hottest restaurants and nightclubs in Europe! 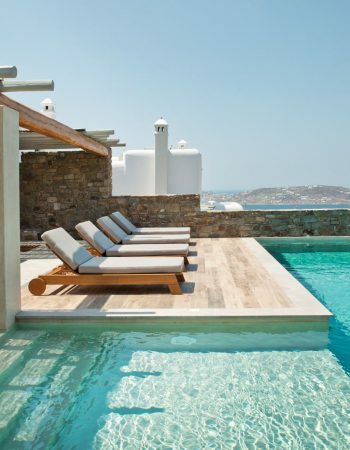 Staying at the M Mykonos Villas means you have the whole world in your hands: quiet and serene homelike evenings, a beautiful view of the port of Mykonos and the neighboring islands, access to dreamlike beaches and a walk away from the legendary dining, shopping, and clubbing that attracts visitors from around the world.